Adam is a highly versatile performer. He is as comfortable performing classical, romantic and contemporary piano concerti with orchestras around the world as he is jamming and improvising with smaller ensembles in jazz, folk and pop settings. Bringing Australian enthusiasm and European rigor to all his artistic projects, his solo and ensemble performances are engaging, enchanting and invigorating experiences. For more about his competition success, recordings and upcoming projects, click here. Adam has a passion for teaching with more than 15 years of experience as a musical educator. 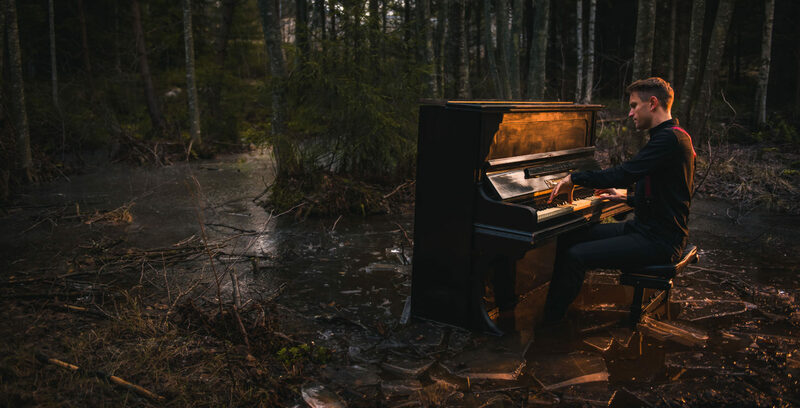 He has trained in early childhood and advanced piano pedagogy at both the Queensland Conservatorium of Music (Brisbane) and the Sibelius Academy (Helsinki) and is currently a member of the piano faculty at Meri-Helsingin Musiikkiopisto. Adam also teaches privately in Helsinki and gives masterclasses throughout Finland and abroad. For lesson inquiries click here. Adam is adept at taking music from all genres and crafting it into tailor-made arrangements for a variety of instrumental combinations ranging from solo performance pieces to chamber and orchestral works. One of Adam’s primary goals is to create pedagogically focussed and level-appropriate piano arrangements of popular musical works to inspire young piano students. Click here for sheet music.